Clean up: Remove your dead/exhausted crops from the summer (hopefully you’ve bagged and removed any diseased plants infected with a soil or airborne pathogen), rocks, weeds and other debris. Soil testing: If you haven’t ever done one or it has been awhile, it’s always a good idea to test your soil so that you can correct any deficiencies BEFORE you plant. There are inexpensive soil test kits to use at home but if you have concerns about other contaminates or heavy metals, there are many local labs that can do more detailed screening. Please check with your local County Cooperative Extension Office for local lab recommendations. A soil test typically costs between $30 to $80 from private labs. Lists of LA County labs are also available by contacting the Natural Resources Conservation Service (NRCS) at (626) 312-4900. Here are helpful articles on soil testing From UC Davis Cooperative Extension: “Trace Elements and the Urban Garden” “Soil Tests – What to Test For; What the Numbers Tell You”. 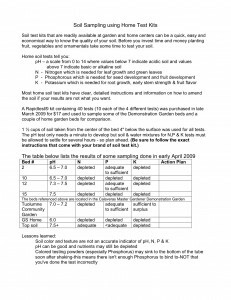 “Soil Sampling Using Home Test Kits” Source: UC Davis Click on Image to view article. Understanding the impact that soil pH has on your plants’ ability to access the nutrients in the soil is critical in maintaining a balanced growing environment and providing the best results: A BUMPER CROP! Here is a link to a helpful article about Soil pH Modification from the experts at the University of Minnesota. Amendment: Now you can start the real work…digging in… or not! There are differing viewpoints on the amount of tillage that is good/not good for your soil. HGEL recommends working the soil as little as possible to keep the impact on your Soil Food Web to a minimum. Click here to learn more about No Till methods. THE BEST thing, without a doubt, that you can/must to for your soil is to add adequate amounts of organic material (compost) routinely to your soil. The recommended amount of compost to add now (for edibles and perennials) in order to have a measurable improving effect on your native soil is 3-4 inches. If you’re laying down compost (or anything else) as mulch, 2-3 inches is good. Any less than 2 inches and you’re wasting your energy and $$$! Remember, if you’re native soil proves to big just too big an obstacle to overcome, you can always use raised beds in your garden. Once you use raised beds, you’ll wonder why you wasted all that time struggling with poor soil! 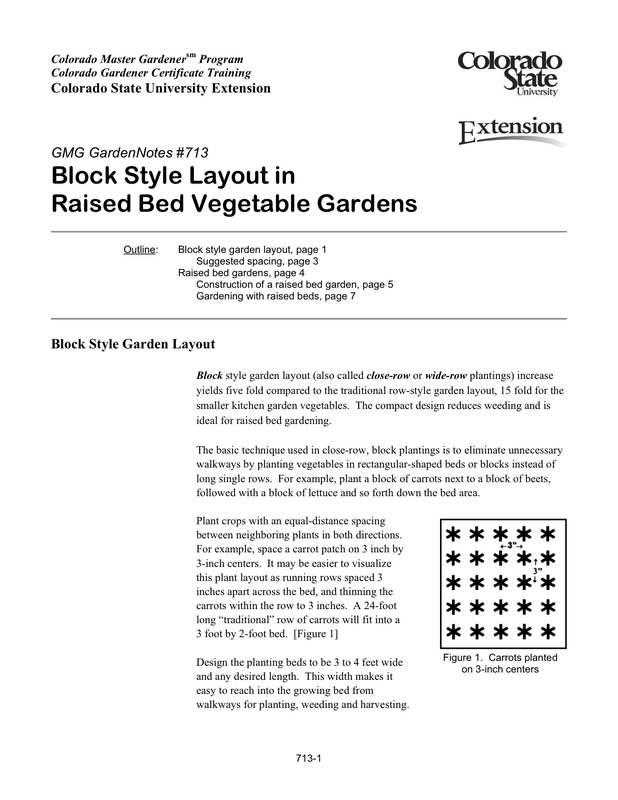 Click here to learn more about using raised beds. Confused about organic fertilizers? 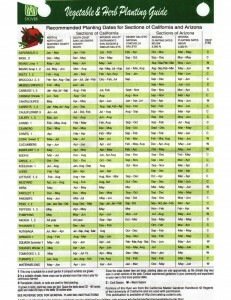 Use this link for an easy to read table (at end of article) on the mineral content and absorption rate of organic fertilizers. Sorts out the mystery of N-P-K too! 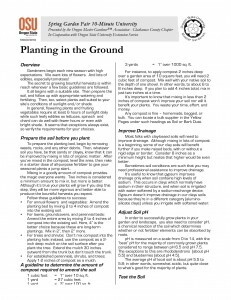 “How to convert an Inorganic Fertilizer Recommendation to an Organic One” from the University of Georgia Cooperative Extension. What/When should I plant? : Ok…you did a great job amending your soil. 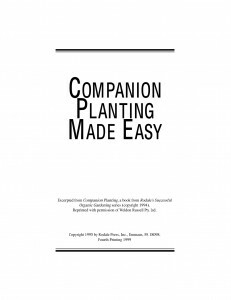 Now you need to decide what and when you’re going to plant. Don’t panic! It’s fairly simple….all you have to know is that there are two classifications of edibles (as far as their growing season): cool weather and warm weather. WHEN? MAKE YOUR OWN CUSTOMIZED PLANTING CALENDAR! Here’s an interactive seed planting calendar to set your planting schedule! All you have to know is your FROST DATE! IT’S IMPORTANT IF YOU ARE GARDENING IN COLDER CLIMATES TO KNOW YOUR FIRST AND LAST FROST DATE. Knowing your local climate AND the microclimate(s) of your property are essential in properly planning your fall planting. Guys, it’s all about educating yourself about WHERE you live so you know WHAT and WHEN to grow! WHAT? Now…this is when the fun begins – dreaming about what to plant. Well, start by thinking about how you cook and what your family’s favorites are (and maybe what you wish they were!) and make a list. THEN read and research all about whatever edibles you’ve put on your list. Knowing the cultural requirements of the edibles you’re planting is extremely important. Ask yourself…is my weather right…is my soil adequate…do I have enough space….is my exposure right? Get the answers to these questions and your ready to go! These crops take approximately three months to mature, so plant them in mid summer for places with October frost dates; or hold off until August/September/October if your frost isn’t until November/December/January. Carrots—Carrots grow best in temperatures from 40° F to 85° F; in hot climates, it may be best to plant in shade or wait until August. Temperatures in the low 20’s will kill off the tops of the carrots, but the roots should be fine. Before the frost, cut the tops off and cover rows with wire netting, topped with straw as mulch. You can then lift the covering when you’re ready to harvest. Cabbage—Part of the cole crops family (the mustard family includes cool season crops such as Brussel sprouts, cabbage, cauliflower, collards, kale, kohlrabi, mustard, broccoli, turnips and watercress). For fall crops, sow seeds directly in the garden. Plant seeds 1/4 inch deep, 1-1/2 to 2 inches apart, thinning plants to the proper spacing. When cabbages are 4 to 5 inches tall, thin or transplant to stand 18 to 24 inches apart. Apply a thick layer of mulch to retain moisture. Start harvesting when cabbage heads are firm and softball size. Cut the head from the stem with a sharp knife and discard the outer leaves. To keep cabbage as long as possible, harvest late in the season before hard freezes and keep heads in a cold, moist area. Potatoes—Spuds come in late and early maturing varieties, so you can choose which type depending on where you live. Potatoes prefer cool climates and don’t like hot, dry soil. Therefore, if you have mild summers, you can start the long maturing types now. In hotter regions, wait to plant earlier maturing varieties later in the summer. Winter Squash: Varieties include Buttercup, Butternut, Acorn, Spaghetti. Most winter squashes are large, vining plants so give them plenty of space! 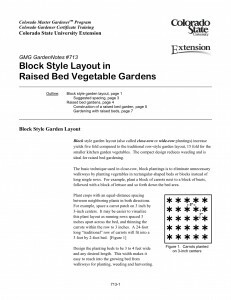 (Several semi-bush varieties are available to individuals with small gardens.) Winter squash is commonly planted in hills. Sow 4 to 5 seeds per hill at a depth of 1 inch. Thin to 2 to 3 vigorous, well-spaced plants per hill when seedlings have 1 or 2 true leaves. For an early crop, start plants indoors 3 to 4 weeks prior to the anticipated outdoor planting date. Since squash seedlings don’t tolerate root disturbances during transplanting, start seeds in peat pots, peat pellets, or other plantable containers. Sow 3 to 4 seeds per container. Later, remove all but 2 seedlings. Harden the plants outdoors for a few days in a protected location prior to planting to lessen transplant stress. Fruit is harvested when they are mature and have hard rinds. Additionally, mature winter squash have dull-looking surfaces. When harvesting fruit, leave a 1-inch stem on winter squash. Winter squash fruit can be stored in a cool, dry location for 1 to 6 months. These crops take about two months of growth before harvest can begin. Broccoli—Broccoli likes cool weather and will bolt in high heat. For locations with a mild climate, plant in the shade initially; for warmer climates, wait until summer temperatures cool off a bit. Plant seeds 1/4 to 1/2 inch deep, or set transplants slightly deeper than they were grown originally. Plant or thin seedlings 18 to 24 inches apart in the row and allow 36 inches between rows. Broccoli plants grow upright, often reaching a height of 2 1/2 feet. Space plants one foot apart in all directions in beds. The edible part of broccoli are compact clusters of unopened flower buds and the attached portion of stem. The green buds develop first in one large central head and later in several smaller side shoots. Cut the central head with 5 to 6 inches of stem, after the head is fully developed, but before it begins to loosen and separate and the individual flowers start to open (show bright yellow). Removing the central head stimulates the side shoots to develop for later pickings. These side shoots grow from the axils of the lower leaves. You usually can continue to harvest broccoli for several weeks. Harvest when the head is large and firm, with a compact cluster of small flower buds with none open enough to show bright yellow flowers. Look for bright green or purplish-green heads. Yellow flowers and enlarged buds are signs of over-maturity. Swiss Chard—This leafy green can tolerate some frost and actually tastes better when the weather cools. It takes about four to six weeks to mature. Sow the seeds directly into the ground one to two weeks before the last expected frost. Plant the seeds 1/2 inch deep and four inches apart. They should germinate in about a week if the soil temperature is around 60 degrees F. Thin the plants when they’re about six inches tall. The plants will transplant easily so either move the plants or give them to a neighbor. You will want to leave eight inches between plants. You can leave less space if you plan to pick leaves often or if you are using the plants for ornamental planting. As with any heavy producer, Swiss Chard is a heavy feeder. You will want to mulch the chard to control weeds and more importantly to keep the soil cool and conserve moisture. All the Swiss Chards will grow to perhaps two feet—if you give them the chance. Many people prefer to harvest the leaves as they emerge, to add to a “baby greens” mix for a fresh salad. Kale—This versatile, SUPER FOOD green takes approximately 60 days to mature, but the young leaves are the most tender, so they can be harvested as soon as they appear. Since those delicate leaves can tolerate cold temps, kale can be planted as late as September/October/November depending on where you are gardening. Kale can tolerate temperatures as low as 20°F. Kale does not tolerate heat. Direct seed or transplant kale so that it comes to harvest before day time temperatures exceed 80°F. In mild-winter regions, kale can be sown in fall for winter harvest. Sow kale seed ½ inch deep spaced 3 inches apart; thin plants to 12 inches apart when they are 4 to 5 inches tall. Space rows 18 to 24 inches apart. Set transplants with crooked stems up to the first leaves. Peas- Peas are rich in fiber, folic acid and vitamin A. Peas are a cool-season vegetable, meaning they will perform best when temperatures are in the 70’s and will be just fine if subjected to a light frost. Peas should be planted when soil temperatures reach forty degrees. Soil should be moist (not soaked), rich in organic matter, phosphorus and potash. They prefer a more basic, rather than acidic, soil. Beets – Beets can be planted in late summer or early autumn or 6 to 8 weeks before the first average frost. Beets require 45 to 65 days to reach harvest. Grow beets as a winter crop in mild-winter regions. 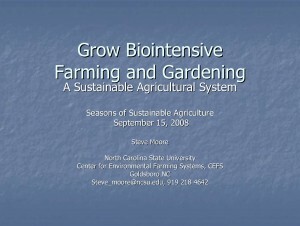 Continue succession plantings every 3 weeks until temperatures reach 80°F. Grow beets in full sun or partial shade in warm regions. Beet greens can be harvested after 35 days. Beets can also be harvested as “babies” after about 30-45 days. These crops will mature in around 30 days; plant as late as September/October/November depending on where you are. 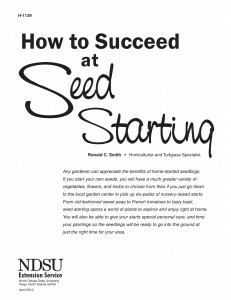 They can also be started earlier and planted in succession, so you have a continual harvest over many months. Spinach—Another cool weather vegetable, spinach doesn’t tolerate heat well. In warm/hot climates, you can wait until fall to plant; in mild climates, August/September is a good time to plant a fall crop. Spinach also comes in many varieties—some are resistant to heat, some to cold—so ask your nursery which one is right for your area. Leaf Lettuce— Quick maturing loose leaf lettuce variety can be ready to harvest after only three weeks. Lettuce is a cool-season vegetable and develops best quality when grown under cool, moist conditions. Lettuce seedlings will tolerate a light frost. Temperatures between 45 F and 65 F are ideal. Seed may be sown in single rows or broadcast for wide row planting. Wide rows should be 12 to 15 inches across. Cover the seeds with 1/4 to 1/2 inch of soil. Water carefully but thoroughly. Several successive plantings of leaf lettuce will provide a more continuous harvest throughout the growing season. Thin plants of leaf lettuce four to six inches or more between plants depending on plant size. All lettuce types should be harvested when full size but young and tender. Over-mature lettuce is bitter and woody. Leaf lettuce is harvested by removing individual outer leaves so that the center leaves can continue to grow. Butterhead or romaine types can be harvested by removing the outer leaves, digging up the whole plant or cutting the plant about an inch above the soil surface. A second harvest is often possible this way. Arugula— Also known as Rocket, Arugula is ready to harvest in 40 days. Pick young, tender leaves. Larger leaves get tough and bitter tasting. Leaves can also taste bitter in warmer weather. This fairly disease and pest resistant edible will tolerant some shade. Plant in succession for a continuing supply of this delicious and versatile green. These are just a few suggestions for fall vegetables; depending on your climate, you can grow cauliflower, Brussels sprouts, onions, and many others. Ok, you know WHAT and WHEN, now you need to know WHERE! Remember reading that “feeding your soil” was important…well LISTEN UP because THIS matters too! Siting plants (not just edibles) incorrectly is one of the most common mistakes the average home gardener makes….the other is over-watering! You’ve probably all heard that edibles need something called FULL SUN to be successful. You’re probably asking yourself “Even if I knew what FULL SUN meant, what if I have something called PART SUN or PART SHADE…can I still have edibles in my garden? The answer, anxious gardeners, is a resounding YES! Full Sun — A generally accepted definition of full sun is six or more hours of direct sunlight per day. But here’s where gardeners need to understand the one factor that is rarely mentioned: time of day that the sunlight is hitting the plant. Having said that, the INTENSITY of your full sun in say….a coastal community is NOT the same thing as full sun in an inland valley location. These climates (zones) are different. Also, don’t forget the seasonal position of the sun – high in the sky in summer, lower in the sky in winter. Midday sun, when the sun is high overhead, is more powerful than early morning or late afternoon/early evening sunlight. If you’re gardening in the summer in a hot inland valley location, a spot in your yard that only receives direct sunlight from 2:00 p.m. to sunset—just under six hours— is not technically full sun, but because the heat index, climate and humidity levels are different in the late afternoon vs the late morning/early afternoon, plants that would otherwise require full sun would do better in this climate sited in an area of your yard that receives part sun. 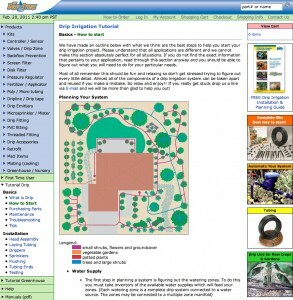 Understanding this is key to site your plants properly. It may take a few failures to learn this….but don’t get discouraged! Understand that there are four key hours in the full sun equation, 11:00 a.m. to 3:00 p.m. (give or take a half-hour on either side). That’s when the sun is most powerful. Part Sun — The classic definition of part sun is a patch of garden that receives about four to five hours of morning sun, then shade the rest of the day, or shade in the morning and four to five hours of sun in the afternoon.This means that six hours or more of direct sunlight that includes high, midday sun is too much and will cause the plant to struggle and perhaps the leaves to burn. Anybody remember planting your lettuce in an area like this only to see its leaves collapse and wilt? Part Shade — Basically it the same as Part Sun above. Remember that shade is sunlight that is not direct. Even in the various degrees of shade, if the sun is in the sky, its rays are always hitting the plant’s leaves; just more weakly. Shade caused by a building is a heavier filter of the sun’s rays than all but the thickest tree canopy. So when factoring shade, you must consider both hours of direct sunlight and hours of filtered sun, and learn which plants handle what. Any further degree of shade is not going to be suitable for edibles. So, you’ve got the what, when, where now here’s the HOW of keeping those babies happy and healthy! Click on image to view website. 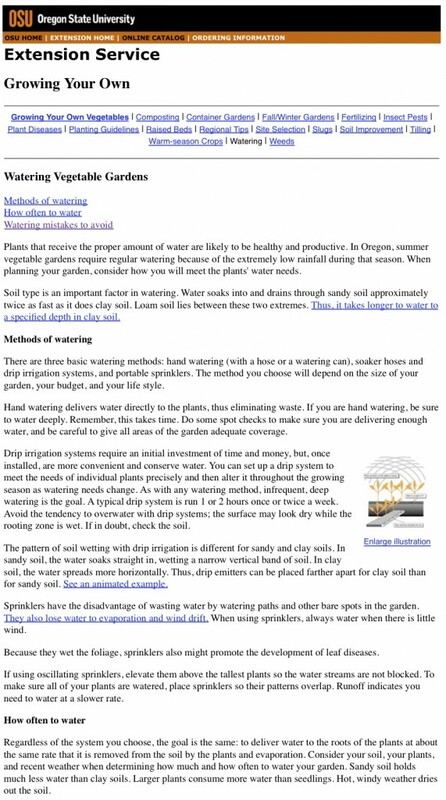 "Drip Tutorial from The Drip Store"
A wonderful aspect of gardening in this season is that pests are not as active as they are in the spring and summer months. We still must be vigilant, however. I know this may sound a bit obvious but the best advice HGEL can give you is to WALK THROUGH YOUR GARDEN AT LEAST EVERY OTHER DAY. For most of you, this is hardly a chore but it needs to be said anyway. Having your eyes open and focused on your garden often is the best preventative action you can take against preventing/controlling pests and diseases. And don’t limit your visit to just a walk through…make it more of a crawl through! Get on your hands and knees, lift up branches, look under leaves, in the soil and around stems for ANYTHING that can be an early warning sign. Note it in your journal and KEEP A WATCHFUL EYE OUT! Catching both early is the key to being able to avoid the need for more invasive actions. 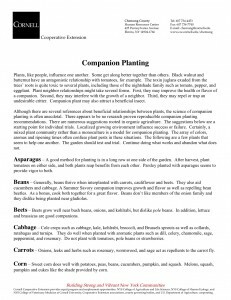 This section will provide helpful links to some exceptional websites, however, for more region-specific help, please google “master gardeners your county’s name” to access your local MG website. For your convenience, the HGEL Favorite Resources: Classes/Events page has links to many MG sites. 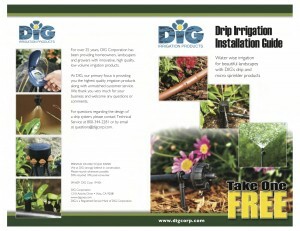 NOTE: Many pests and diseases will attack any plant/tree that is being OVER WATERED. 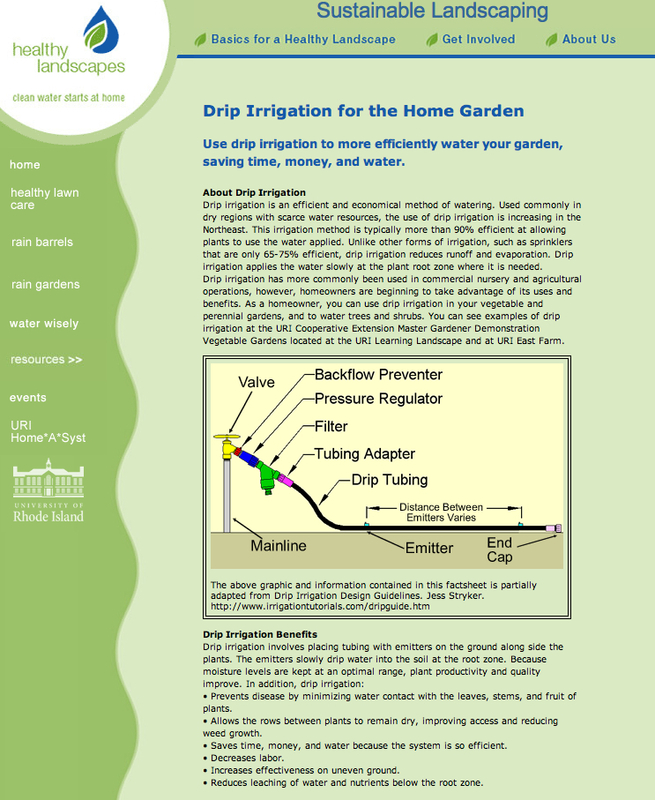 Please check the watering guide above to make sure that your watering levels are appropriate. As a quick reference, listed below are the most common pests and diseases for the cool season veges that were listed in the previous sections in this Fall/Winter Gardening page. For a complete listing please visit the UC Davis IPM site. Carrots: Pests – Aphids, Carrot Rust Fly, Cutworm, Grasshoppers. Diseases – Bacterial Soft Rot, Cavity Spot, Damping Off and Root Die Back, Powdery Mildew. Cabbage (cole crop): Pests – For Aphids, Cutworms, see links in Carrot section above. Cabbage Maggot, Earwig, Snails/Slugs, Whiteflies. Diseases – Bacterial Leaf Spot, Bacterial Soft Rot, Downey Mildew, Fusarium Wilt (Cabbage Yellows), Phytophthora Root Rot. Potatoes: Pests – For Aphids,Cutworms, Snails/Slugs and Whiteflies, please see Carrots section above. Flea Beetles, Leafhoppers, Potato Psyllids, Potato Tuberworm. Diseases – Late Blight, Mosaic Viruses of Potatoes, Potato Leafroll, Verticillium Wilt. Winter Squash: Pests – For Aphids, Cutworms, Earwigs, Flea Beetles, Grasshoppers, Leafhoppers, Snail/slugs and Whiteflies, please see links in Carrots and Cabbage sections above. Army Worms, Cucumber Beetle, Spider Mites, Squash Bug. Diseases – Curly Top, Damping Off, Fusarium Crown and Root Rot, Root Rot. Broccoli: Pests – For Aphids, Armyworms, Cabbage Maggot, Cutworms, Earwigs, Flea Beetles, Snails/Slugs, Whiteflies, please see above sections. Darkling Beetles, Diamondback Moth, Leaf Miners. Diseases: For Bacterial Leaf Spot, Bacterial Soft Rot, Damping Off, Downey Mildew and Phytophthora Root Rot, please see previous sections. Clubroot, Powdery Mildew, Black Spot, Vertcillium Wilt. Swiss Chard: Pests – Good overall pest and disease resistance. For Leafminers, Beetles and Caterpillars (Moths) see Broccoli section above. 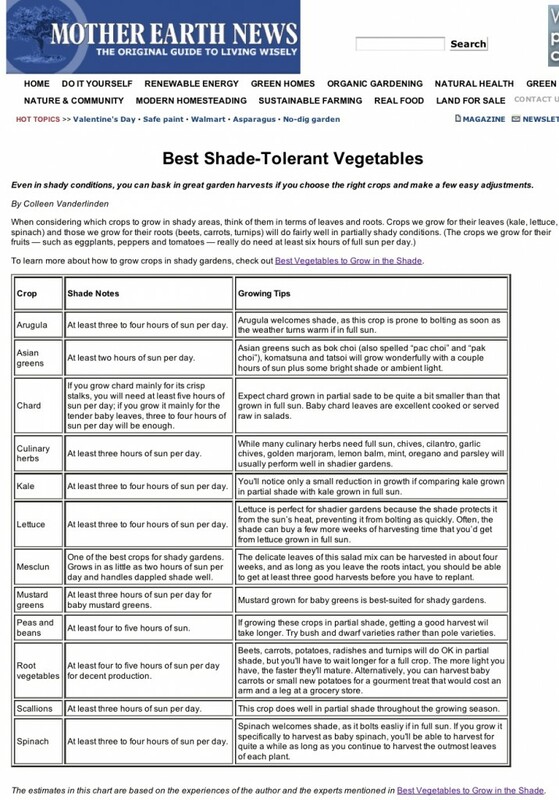 Kale: Pests and Diseases – please see the Cabbage and Brocolli sections. Peas: Pests – For Armyworms, Aphids, Cucumber Beetles, Leafminers and Spider Mites please see previous sections. Nematodes, Pea Leaf Weevil, Pea Moth, Pea Weevil. Diseases- For Downey and Powdery Mildew, Root Rot and Damping Off, please see previous sections. Ascochyta Blight, Basal Stem Rot, Fusarium Wilt, and Virus Diseases. Beets: Pests and Diseases – for Aphids, Nemotodes, Leaf Miners, Bacterial Leaf Spot and Powdery Mildew, please see previous sections. Spinach: Pests – For Aphids, Cutworms, Darkling, Beetles, Earwigs, Flea Beetles, Leaf Miners, Nematodes and Snails/Slugs, please see previous sections. Spinach Crown Mite, Loopers. Disease: For Damping Off and Virus Diseases, please see previous sections. Downey Mildew. Lettuce: Pests – For Aphids, Armyworms, Cutworms, Darkling Beetles, Flea Beetles, Grasshoppers, Leaf Miner, Loopers, Nematodes, Snails/Slugs and Whiteflies, please see previous sections. Vegetable Weevils. Diseases – For Damping Off, Downy and Powdery Mildew and Virus Diseases, please see previous sections. White Mold (Sclerotinia Lettuce Leaf Drop). Arugula: Pests – For Aphids, Flea Beetles and Whiteflies please see previous sections. Diseases – For Damping Off, Downy Mildew and Bacterial Leaf Spot, please see previous sections. HAPPY COOL SEASON GARDENING EVERYONE!